The following case is being reported in line with the SCARE criteria in International Journal of Surgery Case Reports. 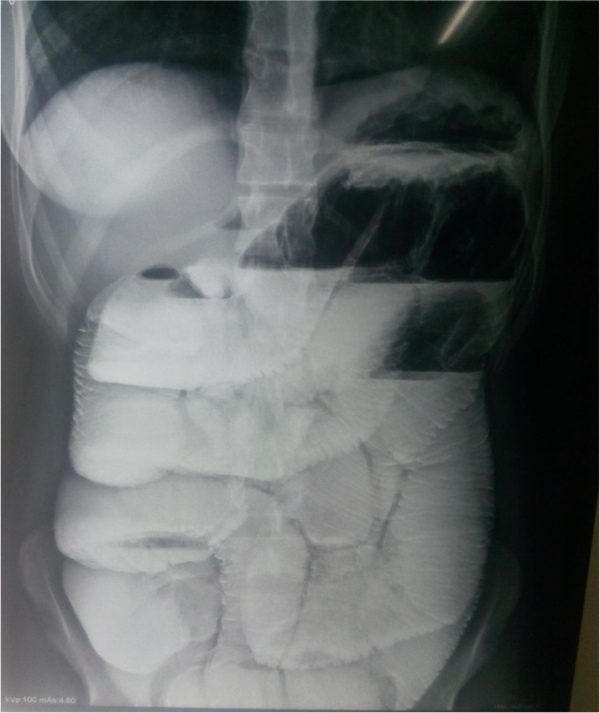 An 18-year old Pakistani girl presented to the emergency department of a tertiary care hospital, with recurrent abdominal pain and persistent non-bilious vomiting for the past 04 days. 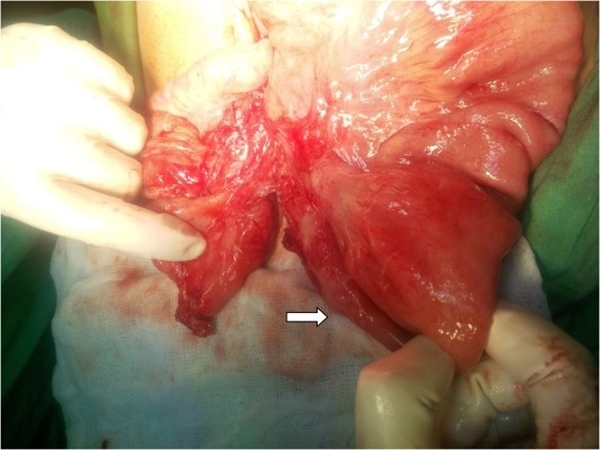 Upon presentation she was hemodynamically stable and her abdominal examination was unremarkable. Her blood workup was normal. Only her erect radiographs showed dilated small bowel loops with air-fluid levels. 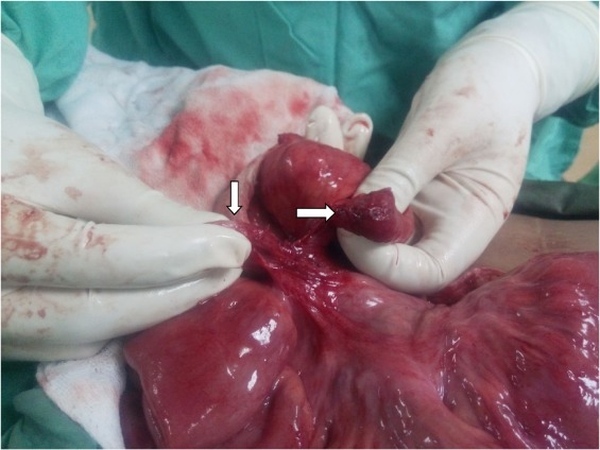 Ultrasonography of abdomen revealed thick walled distended small bowel loops with to and fro movement, suggesting intestinal obstruction. She gave a history of an abdominal surgery at the age of 2 years, of whose nature the parents and the patient were unaware and no documentation was available. Patient was not on any medication and family history was unremarkable. 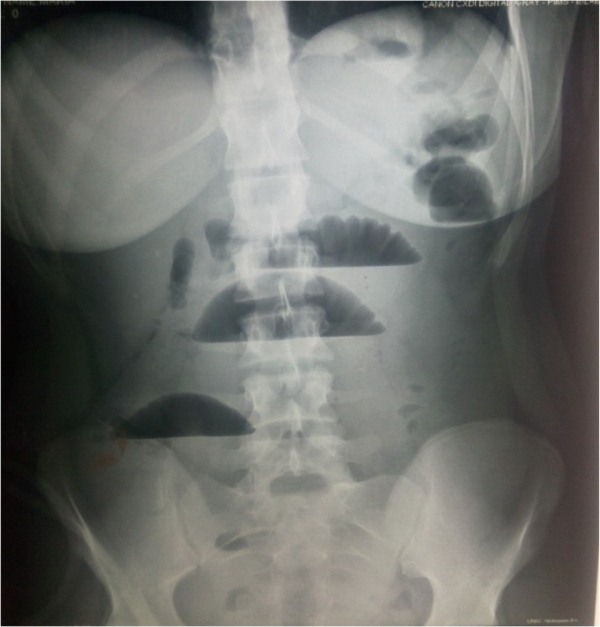 Moreover, patient has had multiple recurrent admissions to the hospital for intestinal obstruction in the past 6 months, which all resolved with conservative management. Patient was of the view that her symptoms are the result of the surgery she had during her childhood. As before, she was put on conservative management with nasogastric decompression and intravenous fluid therapy. Her condition failed to resolve as a radiograph two days later appeared to have even worse dilatation of bowel loops. 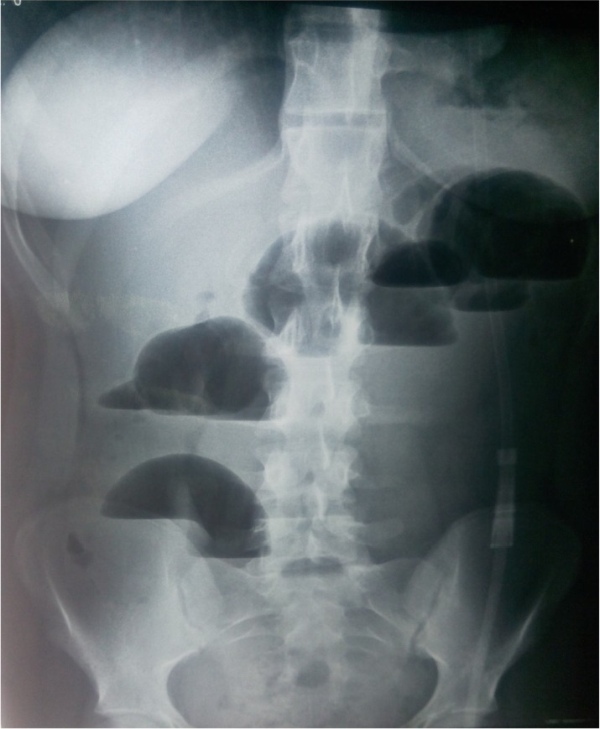 Barium meal follow through revealed thickened folds and dilatation of small bowel. Decision was made to explore her for possible adhesions and adhesiolysis. Surgery was performed by assistant professor of surgery at the hospital. Per-operatively, a band was identified at 2 feet distal to duodeno-jejunal junction. Upon further exploration, two blind ending loops of ileum were found buried in the band. Stapled anastomosis was done with uneventful post-operative course in surgical ward. Histopathology was consistent with an ileal band and the patient is symptom free at 4 months post-operatively.